We have had a string of forest fires here in Mallorca over the last few weeks, partly due to the long hot June and July and mostly really due to arson and some pyromanic madness. Ten days ago, some 20 hectares of prime forest on the slopes of Sant Salvador mountain near Felanitx were burned by a fire with three distinct origins, all presumably caused by a devious human scheme and quite possibly, arson. Four firefighter aeroplanes and two helicopters battled the flames together with four fire brigades from Felanitx and Manacor for over five hours. In the end, the fires were put out but, over night they flared up again and more firefighting had to be done. That is crooked, unscrupulous and criminal behaviour, if you ask me, simply sick. 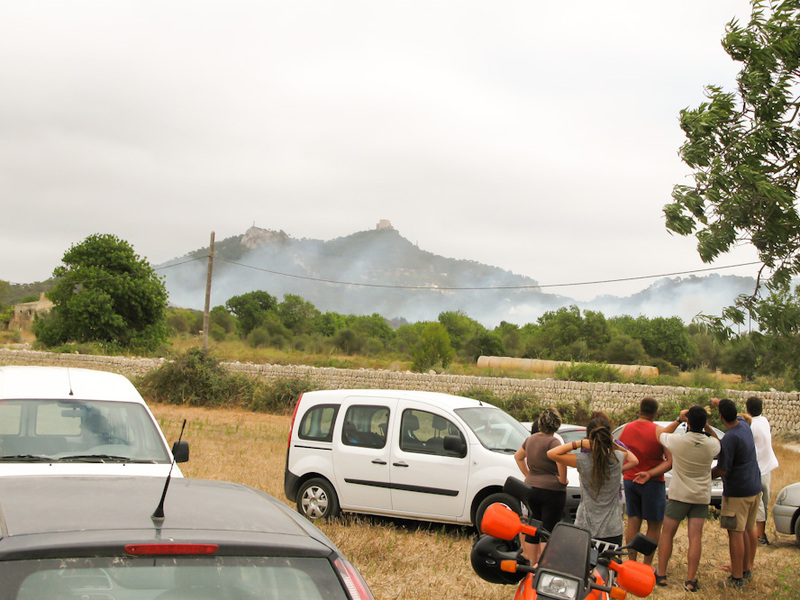 Earlier this year, forest fires flared up near Alcúdia, Calvià, Peguera, Bunyola, Llucmajor and Palma. 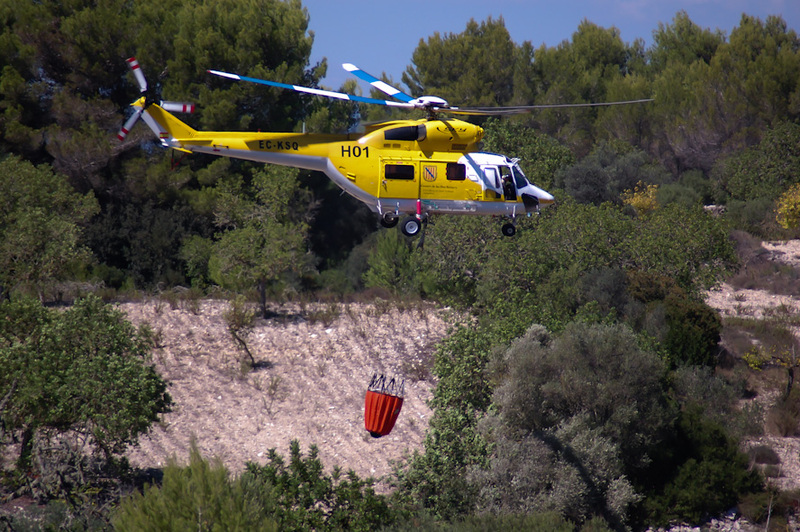 And last weekend, two more fires had to be restrained near Sa Bruguera and Santa Margalida, and three more yesterday, near Randa, Manacor and Sant Llorenç. The majority of all fires this year appear to be caused by human negligence or outright criminal motives and arson. Shame on you scoundrels. The photos (top and centre) were taken by my friend Peter Koene near Felanitx, Mallorca, Baleares, Spain. The date: July 14th, 2012. 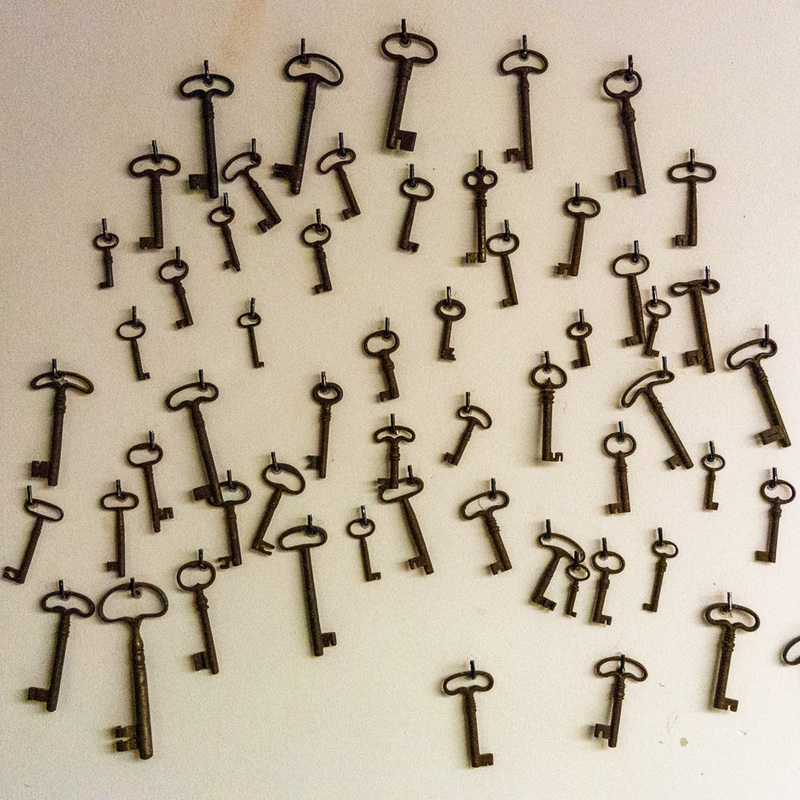 The time was 15:08:27 and 13:56:23, respectively. The photo (bottom) was taken near Felanitx, Mallorca, Baleares, Spain. The date: July 23th, 2012. The time was 12:01:16. So terrible to hear arson the most likely culprit to the fires. We have had a number locally. As a result, walking and mountain bike trails have been closed. Glad to hear that the Monestary at Sant Salvador was not affected! 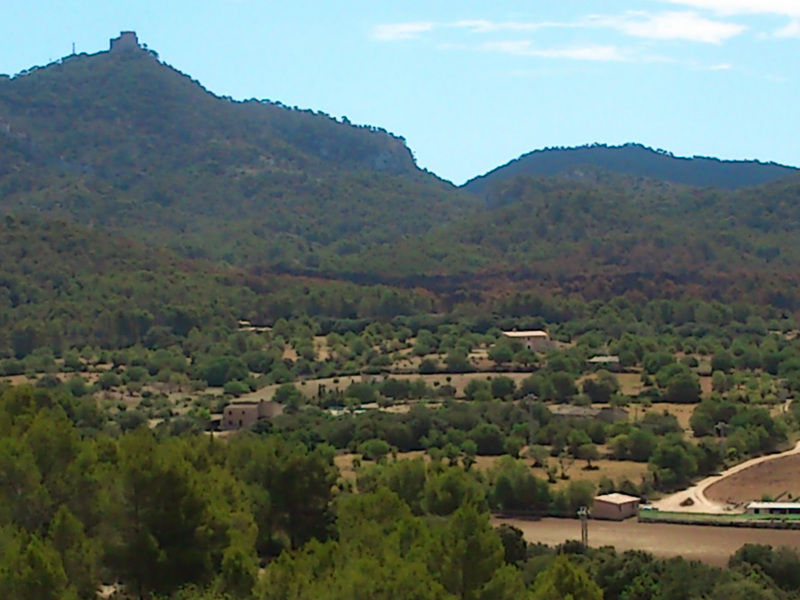 We love to come to Mallorca in the spring and cycling to Sant Salvador is usually our first ride. Such a beautiful area. This fire is sad! Looking forward to coming back to Mallorca in the spring for biking/hiking, and have not explored this part of the island. Hope the arsonist is caught and that the vegetation grows back quickly. One of my fave places on the planet!